Add the Vanilla Extract. 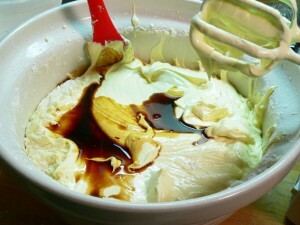 Use the mixer briefly to incorporate the flavoring. Then, scrape down the sides of the bowl with a spatula and fold the batter together a time or two more.